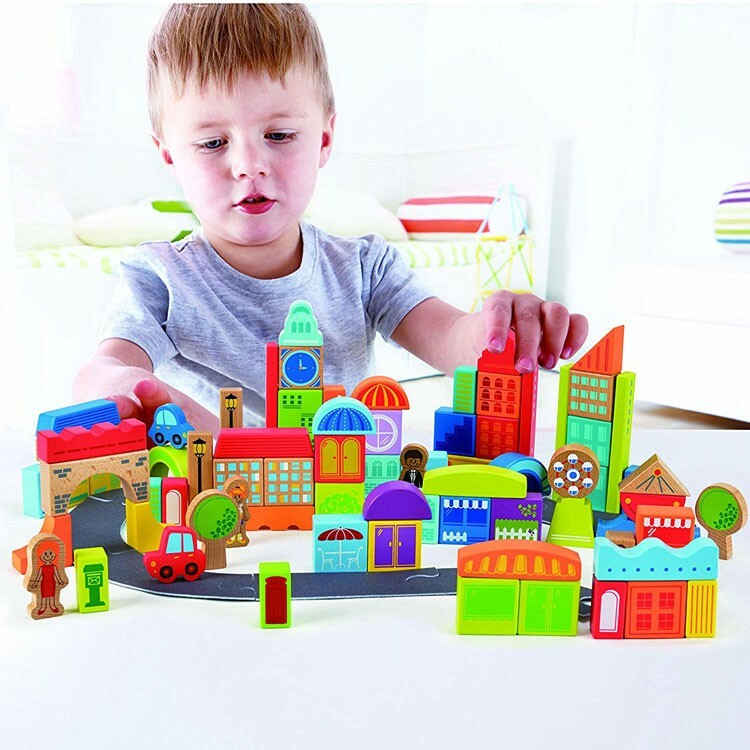 Build you own busy city with this 80-piece terrific wooden blocks set by Hape and have fun for hours playing with your make-believe city. 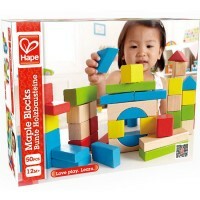 Build you own busy town with this whimsical Hape Toys' block set! 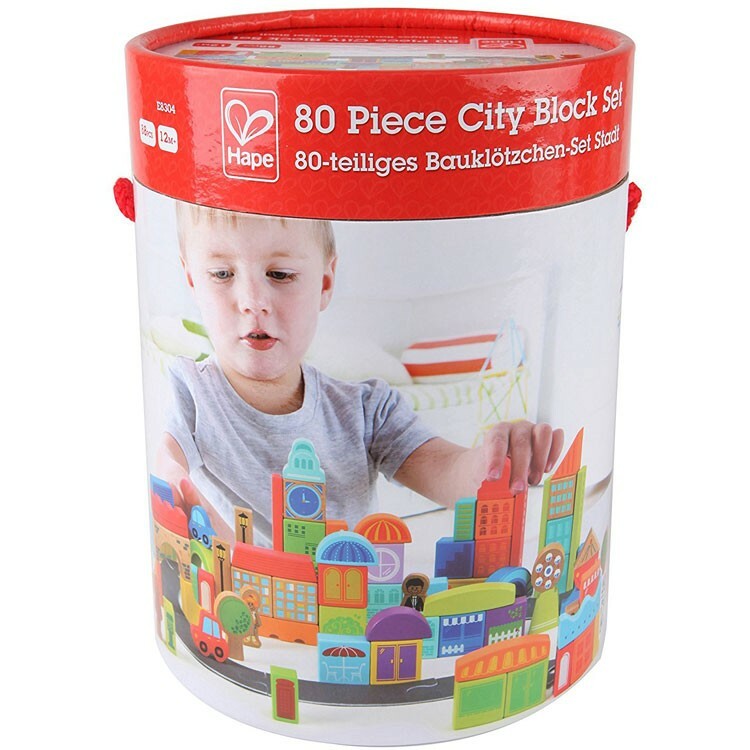 Fill your city with roads, skyscrapers, amusement park, restaurants, stores, and more! 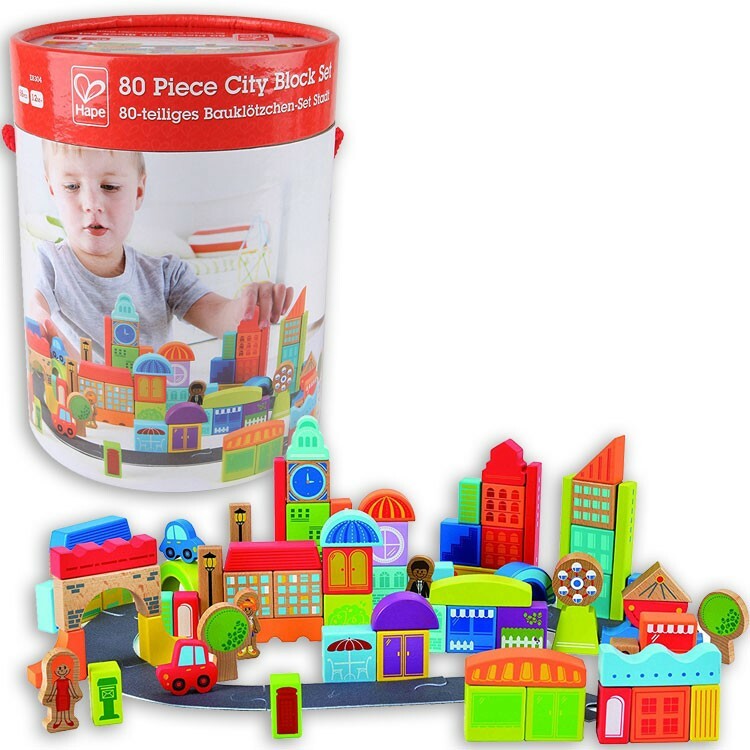 This colorful set of building blocks features 80 wooden blocks that can build a great pretend city right in your play room. 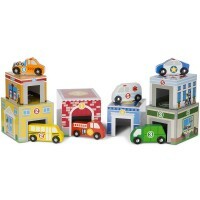 The wooden blocks from this town building set include buildings, vehicles, architectural elements, characters, trees, and so many more town building elements. 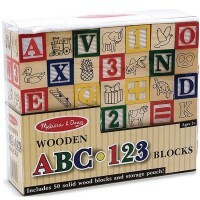 The chunky blocks set also come with numbers and letters blocks to add the educational fun to your city building. 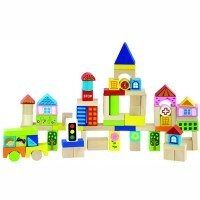 80 pc City Block Wooden Building Set is perfect for building, moving and make-believe fun. 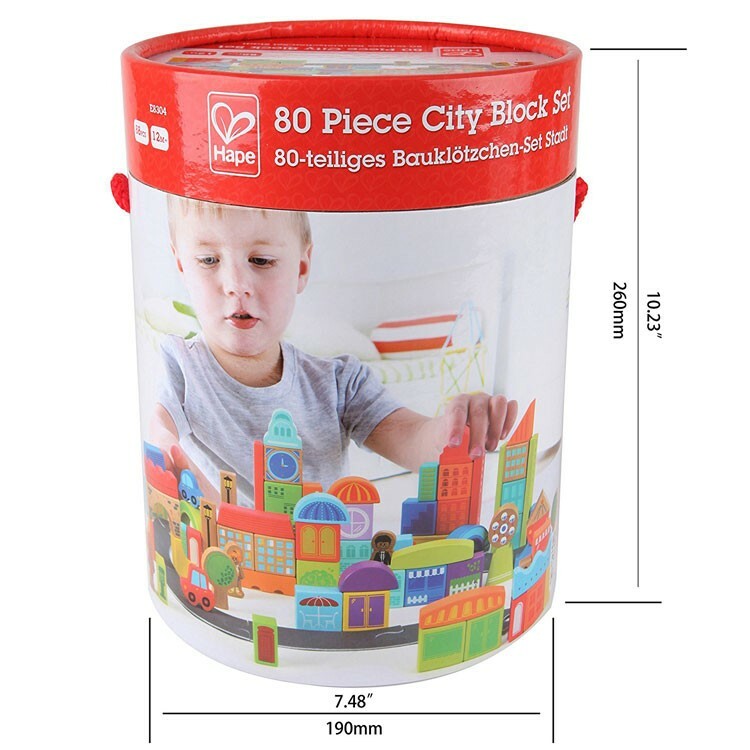 Educational Toys Planet presents this first blocks set in a sturdy cylinder storage container. With this building blocks set tots will enjoy constructing and arranging familiar town landmarks in new and exciting ways. 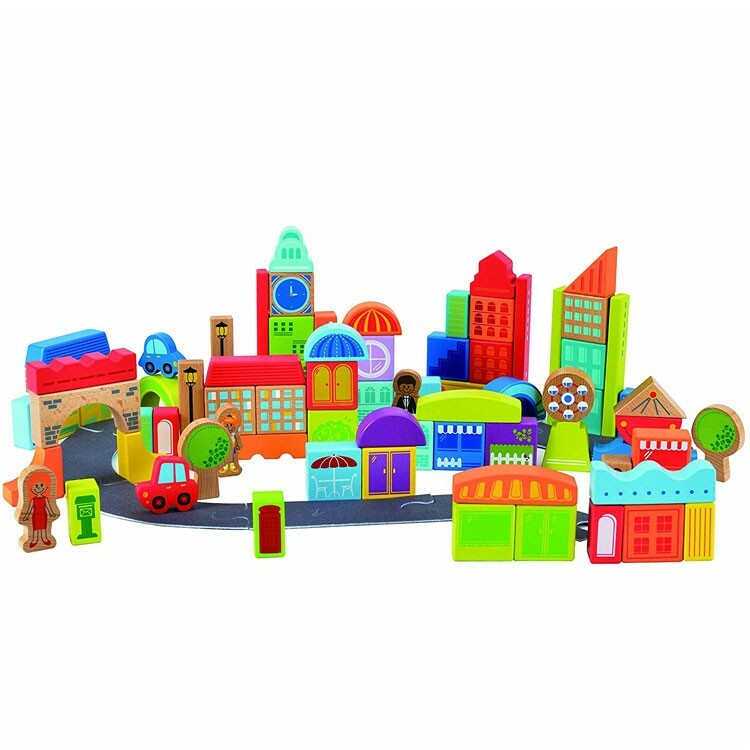 There are hundreds of stories just waiting to be told in this wooden mix-and-match town, while your little real estate developer pushes the vehicles all around. 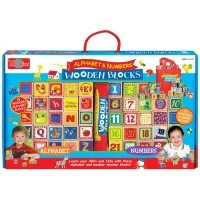 Dimensions of package 12" x 8" x 13"
Write your own review of 80 pc City Block Wooden Building Set. 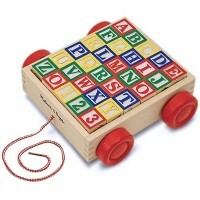 Rating: 5 Imagination and creativity abound by Jessica G This is a toy that covers so many bases. 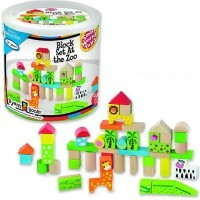 Kids can learn about social studies, work on problem-solving and spatial skills and hone motor skills with this play set. 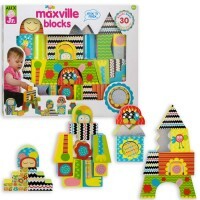 The fun of building and re-building their very own town will never get old and the set is very high quality. 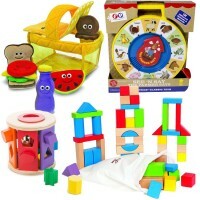 An awesome set!